Funky Buidling on Bragg Blvd. 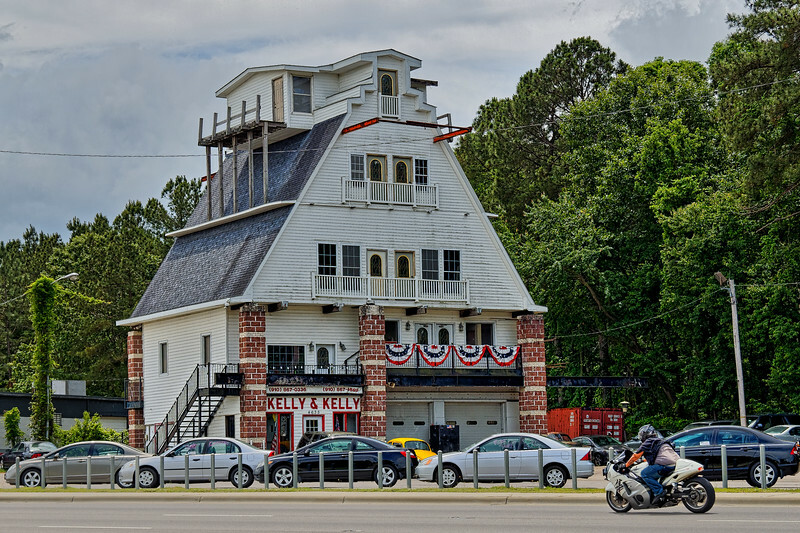 Home of Kelly & Kelly Used Cars, Fayetteville, North Carolina, the locals call this "The Funky House on Bragg Blvd." The story goes that when they bought the property in the 1960's, they wanted to erect a large billboard to advertize their business. When turned down for a permit, they started this building, and kept adding upper floors until stopped by the authorities.